Very dependable and efficient. 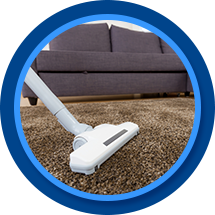 Quick response – had carpet mildew – service eliminated the odor. Timely service, Scotch Guard treatment makes it much easier to clean spills.